Let’s face it, the SEO industry, like any other, has its fair share of less-than-scrupulous players looking to take advantage of unsuspecting site owners. I’m not sure if SEO actually has more “bad guys” than most other industries or ours just get more attention, but the simple fact remains that they are out there and they are having a negative impact on the authority, expertise, and trustworthiness of the rest of us. I’ve worked with my fair share of site owners and marketing managers that have been burned by a fly-by-night SEO provider before, and one of the biggest challenges I have with them is getting them to trust my SEO recommendations. They trusted someone who was supposedly an “expert” before, and it came back to bite them in the you-know-what. I’m not surprised they have such a hard time trusting the next SEO provider they work with, which is why I make sure I’m as transparent as possible. When it comes to building SEO client trust, transparency is key. When working with a new client, I like to outline a 6 or 12-month link building strategy for the site and review it with the site owner before we start any link building activities. This strategy, although not set in stone, serves as a guideline and reference point for both my team and the client. At any given moment, they can refer to the strategy to see exactly what the planned link building activities for that month are so there aren’t any major surprises. It also holds me and my team accountable to the client. If we don’t deliver what we planned, there should be a real reason why, and we should have come up with something comparable to keep the strategy moving forward. As we know all too well, Google doesn’t really care who was in charge of your link building two years ago—if it’s your site it’s your problem. In the case of the burned SEO client, they trusted a supposed expert to handle their link building and took them at their word that: A) work was getting done and B) it was for their long-term benefit. There are plenty of services out there that offer 500 links a month for $49.95, and we all know the kind of quality you can expect from that offer. However, a new-to-SEO site owner might have fallen for it, especially if the budget was tight. In my opinion, monthly link building reports are absolutely essential to helping build client trust. Show them exactly where you’re developing links each month so they have no cause to question your efforts. Keep track of the links you’ve successfully built, as well as the ones you are still working on (like a guest blogging opportunity). This also helps justify your work because you can pull those reports out at any given moment and show how your link building efforts are impacting their website and SEO as a whole. Some clients need a little more hand-holding than others, especially if they’ve been burned, but at the very least I like to have one scheduled phone call each month with every client, so we can review that month’s link building activities and plan for the next month. Obviously, they are welcome to contact me by phone or email as needed, but I’ve found that having this scheduled phone call helps keep me and the client on the same page. I firmly believe that SEO needs to be part of the overall marketing plan, and I don’t like surprises (Hey, we moved to a new domain … last week!) anymore than my client does. Even if there is nothing major to discuss, it’s always good to chat real quick and let the client know you haven’t skipped town or forgotten about them. If I really wanted to, I could drown my client in analytics reports, but I’ve found the best ones to send each month are organic visitor data and keyword reports. These two simple reports usually give a complete enough picture to show your clients what kind of impact SEO is having on their site. These reports show your clients how your SEO expertise is driving visitors to their site and how the keywords you suggested are performing. This data helps support your position as a trusted expert and makes the client much more comfortable. If your suggestions are paying off, and you can prove it, you’ll have a very happy client. Obviously, everyone has their own way of dealing with SEO clients, but over the years I’ve found that the most important thing is transparency. Don’t give your clients any reason to doubt your expertise! Breaking: Yahoo Now Testing Bing's Search Algorithm &amp; Results? I am with you on the above points . 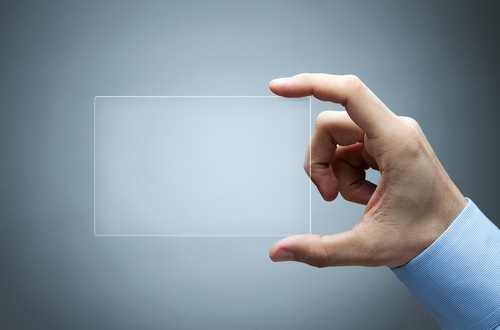 Transparency helps to make a long term relationship with clients. I want to add one very important point here which i think is equally important “setting the right expectations ” from both party on deliverable and performance.